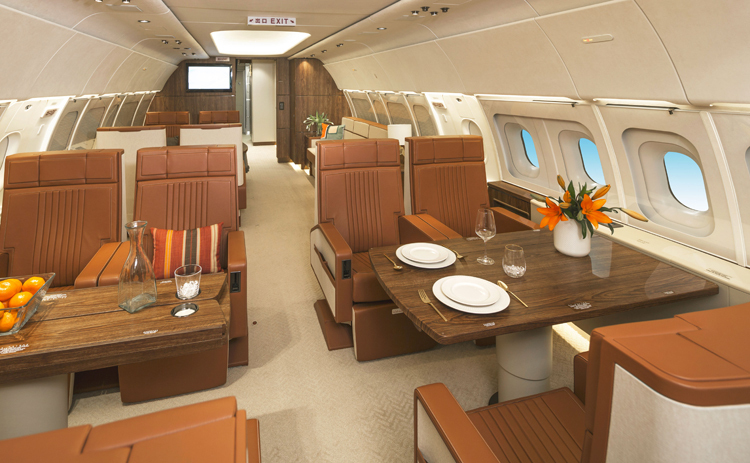 "Business jets are about having a great travel experience, as well as getting somewhere, and Airbus corporate jets deliver the widest and tallest cabin in an aircraft family that is modern, able to welcome large groups, and economical," says ACJ President Benoit Defforge. The new family comprises an ACJ319neo² that can fly eight passengers 15 hours or 6,750 nm/12,500 km, and an ACJ320neo that can transport 25 passengers 13 hours or 6,000 nm/11,100 km. ACJ has already won 13 orders and commitments for NEO family aircraft. Airbus' A320 Family exemplifies features that are now standard in almost all new-generation business jets - such as enhanced-protection fly-by-wire controls, cost-saving centralised maintenance and weight-saving carbonfibre.